Shiraishi-jima Island is a small island in the Seto Inland Sea 16 km offshore of Kasaoka Port. 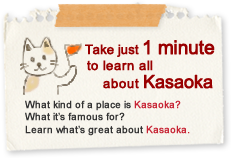 Its beauty has been written about in Japanese poems since the long and rich Heian Period. During the Edo Period, it prospered as a strategic located in marine transportation. Today its history and culture lives and breathes throughout the island. Its traditional dance, the Shiraishi Dance, is a form of the Obon Festival Dance which is steeped in history and still performed today. Shiraishi’s version has been officially designated as an Important Intangible Folk Cultural Asset. 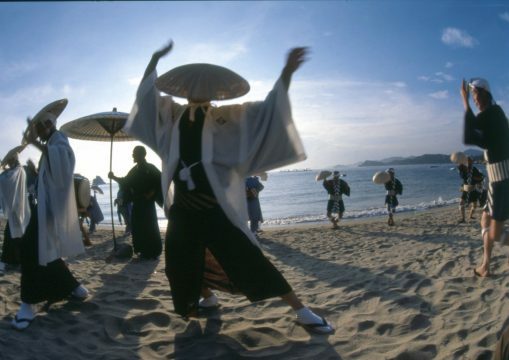 The Shiraishi Dance was believed to have started to mourn the souls of those who died in the Genji-Heike Mizushima War (1183). 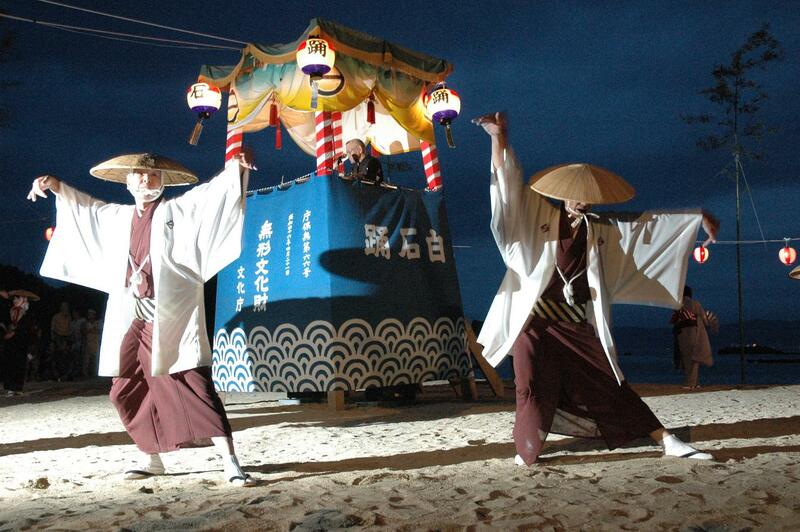 It is performed from August 13 to 16 as a traditional Obon Festival Dance. Its distinct feature is there are dances for men, dances for women, and over ten other types of dances performed in conjunction with someone taking the lead in enticing others to join the dancing. It was officially designated as an Important Intangible Folk Cultural Asset because of the style of dancing which is not anywhere else in Japan. Usually the Shiraishi Dance can only be seen during the 4 days of Obon, but special performances are held for tours of sightseers who come to view it. 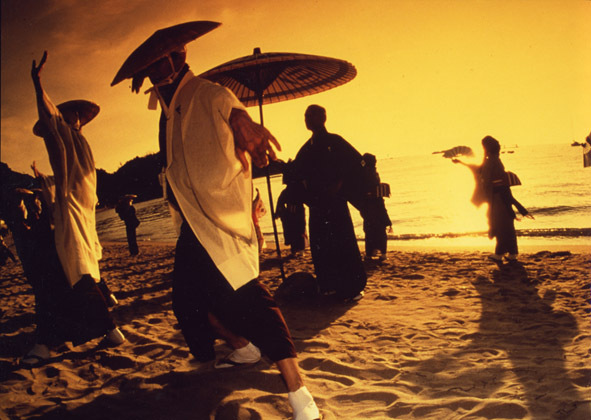 The venue is a beach lit up by the sun setting on the Seto Inland Sea. 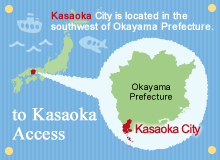 From the Sumiyoshi Boarding Dock at Kasaoka Port, take the regular passenger vessel (Sanyo Kisen) and travel 22 minutes (high-speed ship) to Shiraishi-jima Port. It takes 35 minutes by ordinary ship. From the Fushigoe Port Boarding Dock in Kasaoka Port, take the ferry (Sanyo Kisen or Kanafuro Maru operated by Setouchi-Cruising) and travel 45 minutes to Shiraishi-jima Port.